All my life I’ve been afraid of heights. Never one to give in to my fears, however, I’ve been to the top of the Empire State Building, the Eiffel Tower, the St. Louis Arch and the Washington Monument. I’ve looked into the abyss at the Grand Canyon, the Royal Gorge, the Grand Canyon of the Yellowstone, and the Black Canyon of the Gunnison. With a feeling of dread, I’ve climbed ladders into the sky to paint our house and watched my children hopping and cavorting around the roof of our two-story home with my husband. Honestly, I disliked each and every experience and many more that I’ve either forgotten or omitted. 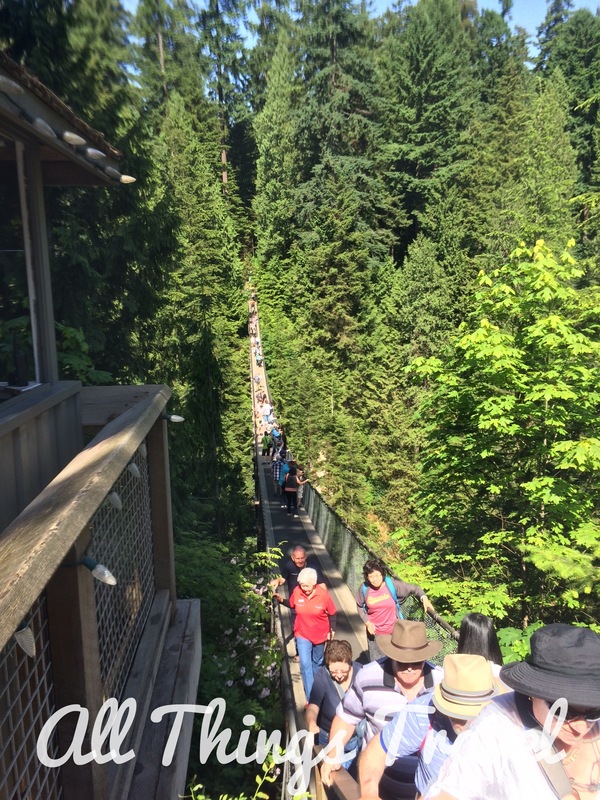 So why is my number 1 favorite attraction in Vancouver the Capilano Suspension Bridge? Simply because I conquered it and I felt fearless. 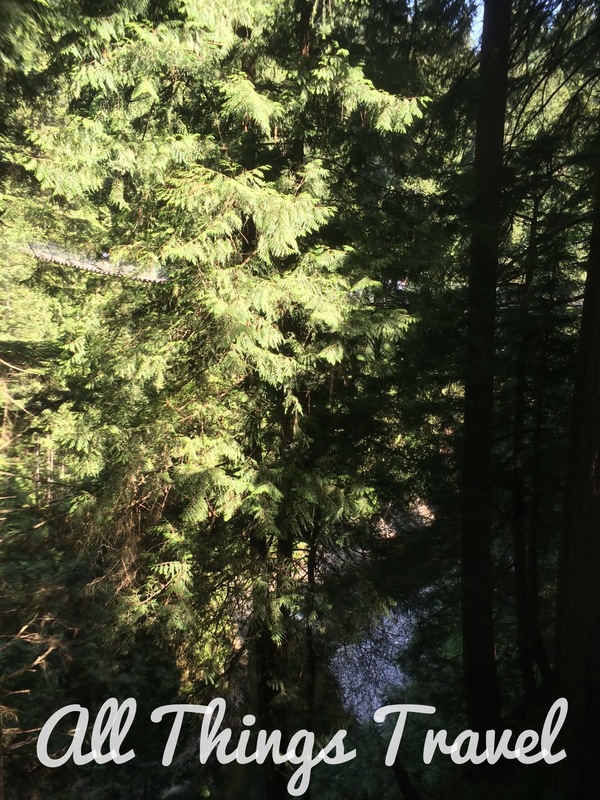 The first bridge across the Capilano River was constructed by the owner, George Mackay, in 1888 from cedar planks and hemp rope to connect his land on either side of the canyon. It soon became a popular destination for locals and while the bridge and the land have changed hands a number of times, its popularity hasn’t diminished over the years. 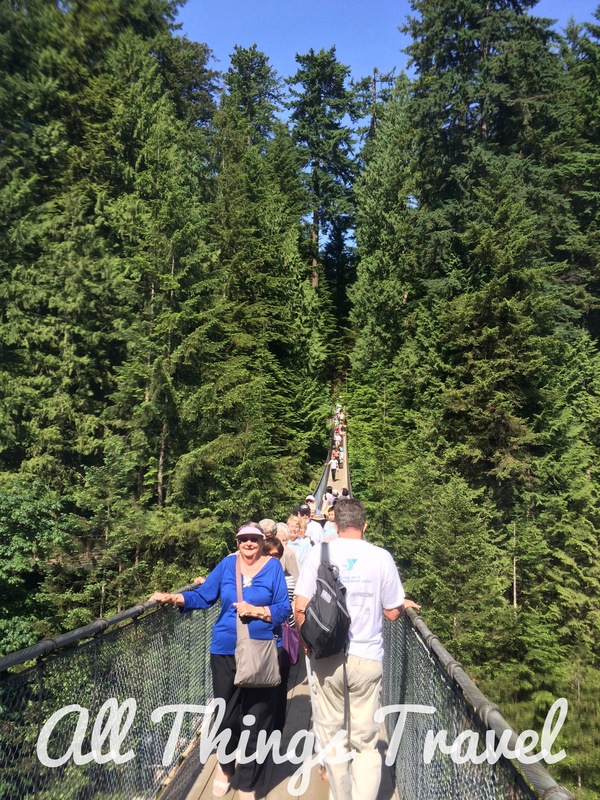 The bridge is 459 ft long and 230 feet above the Capilano River. It shivers and shakes as you walk across it and many of the visitors do, too. I found out about this bridge purely by happenstance. 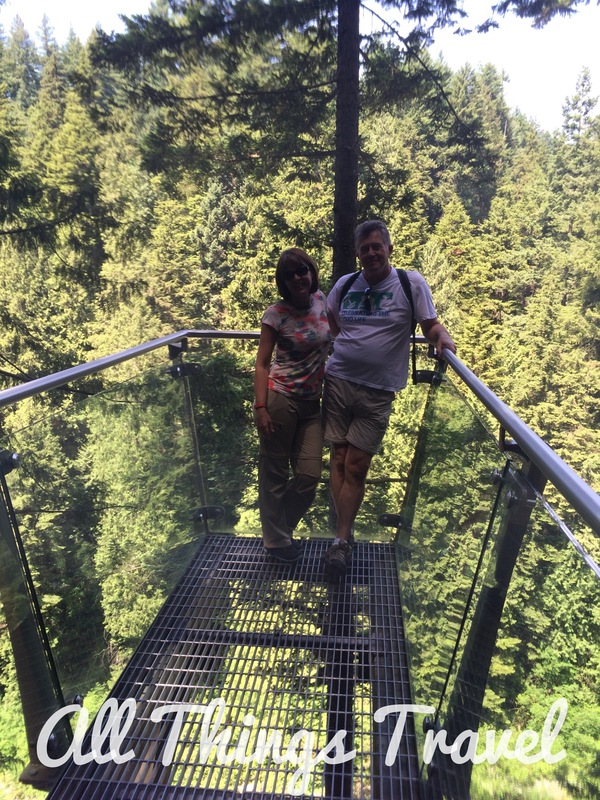 I received an email from a travel site about a suspension bridge north of Vancouver a month or so before our trip which I forwarded to Sheryl, who was traveling with us. 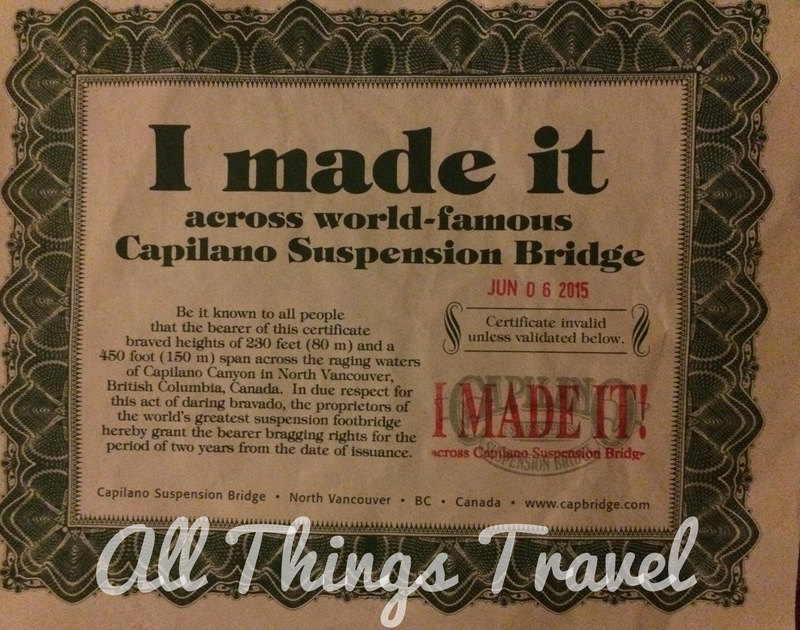 I forgot the name of the bridge and when we got to Vancouver, I mistakenly thought it was Capilano when it was actually Lynn Canyon. 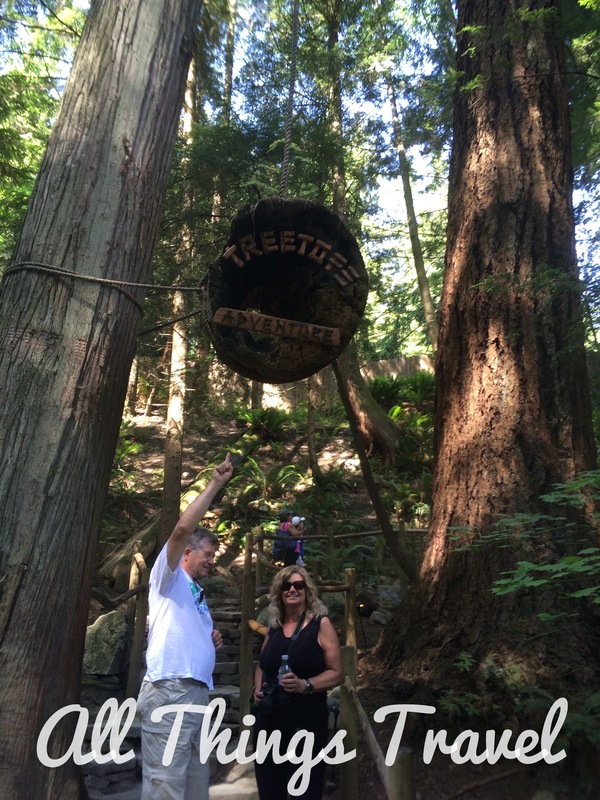 It turns out Lynn Canyon Suspension Bridge is free but considerably smaller so I think this mistake actually worked in our favor. We noticed a number of tourists had purchased package deals from tour company operators for transportation and the entrance fee, but that’s not necessary. 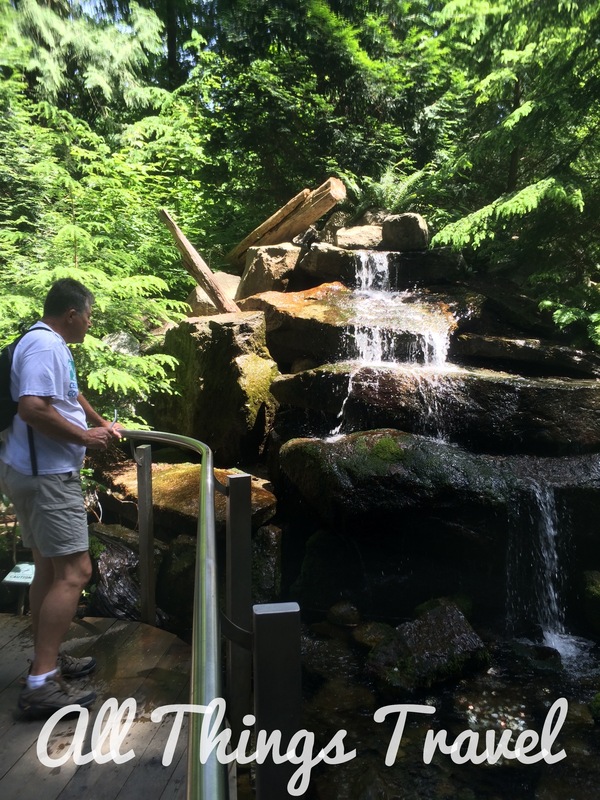 There’s a free shuttle to Capilano from various points around the city and you can find the schedule on their website here. Then when you arrive at the park, you purchase your tickets. At $37.95 for adults, $34.95 for seniors, $24.95 for youth 13-16, and $12 for children 6-12, admission is, admittedly, somewhat pricey but we had an AAA discount and you can find discount coupons online, too. Immediately inside the park, we enjoyed the history presentation by storytellers in period costume to set the stage before our first view of the bridge. 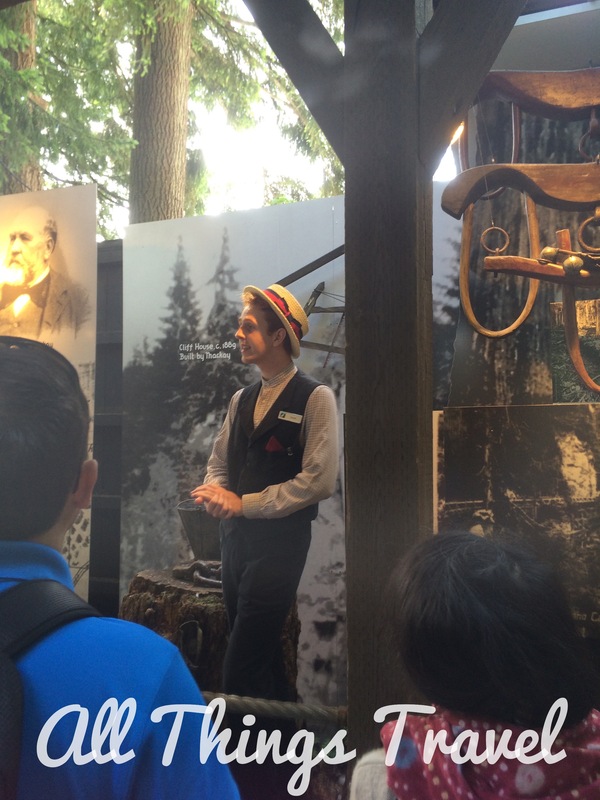 In addition to the bridge, there are a number of other experiences and educational opportunities. 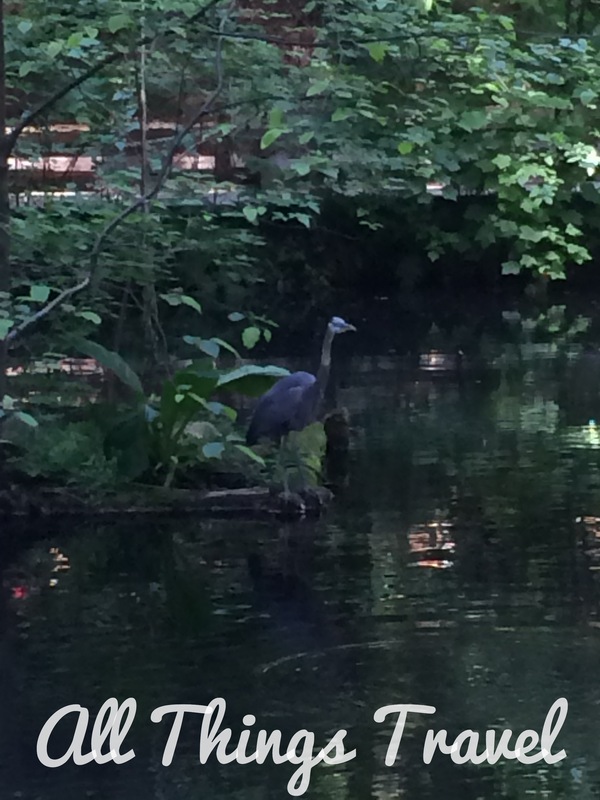 Naturalists are on hand with educational programs about the flora and fauna in the rainforest and you can schedule guided walks with a naturalist. 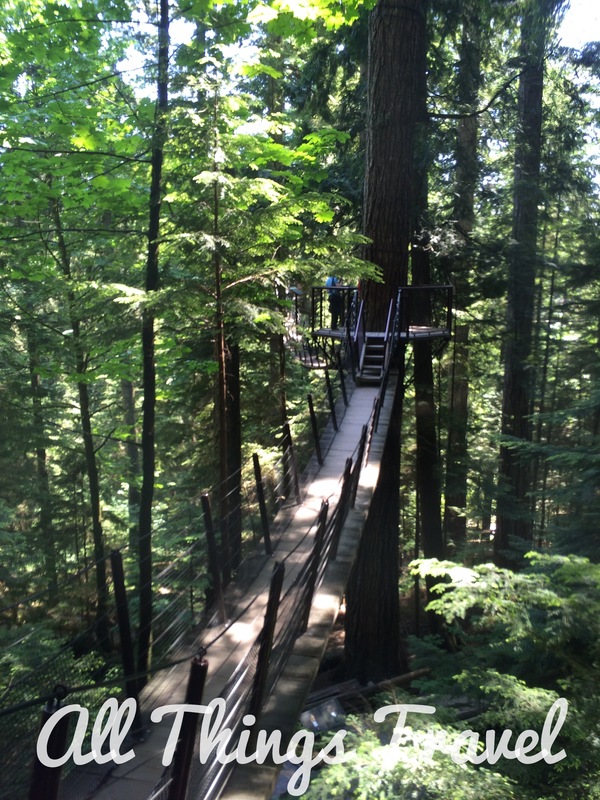 Treetops Adventure is a treehouse with a series of suspended walkways between trees that has particular appeal for children. 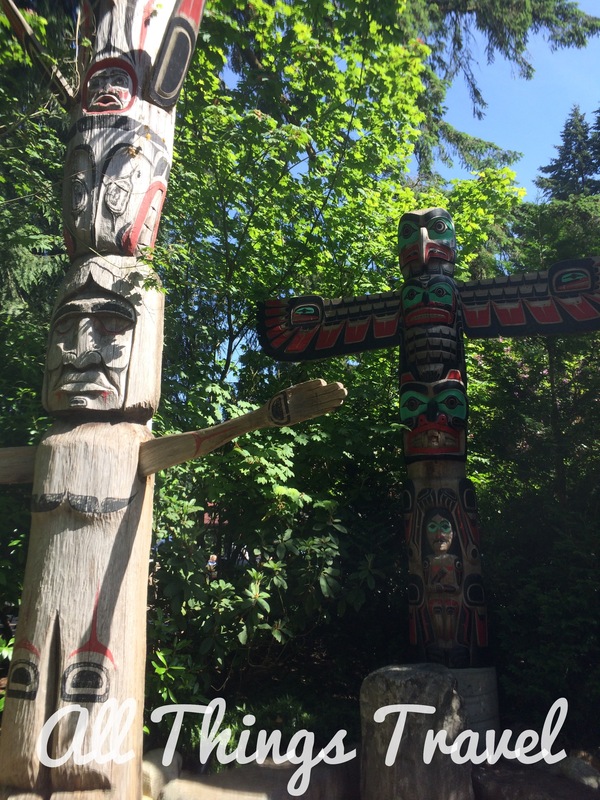 The presenters at the Kia’Palano exhibit told us about the First Nations people who created the totem poles which are actually storyboards. 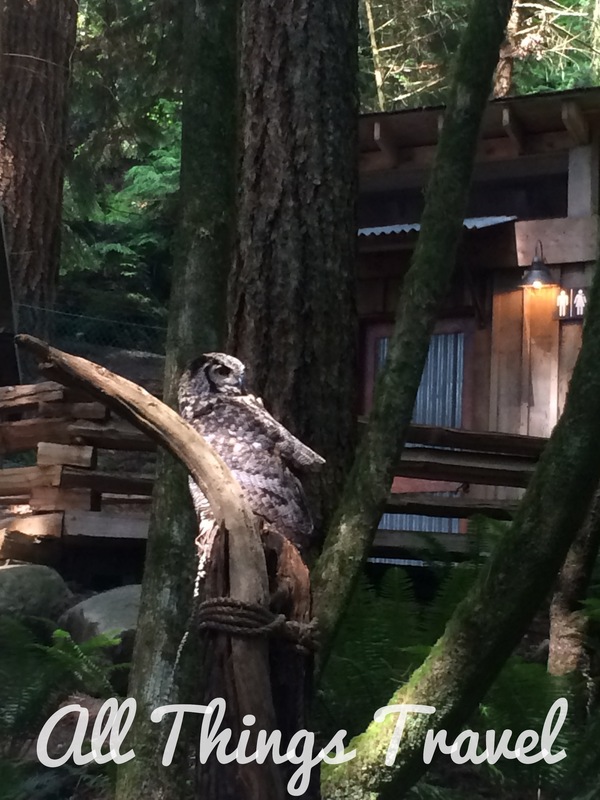 I was particularly interested in the totem to the right in the photo below. This iconic totem pole was actually created by the Canadian government after passing the Indian Act which banned the First Nation’s culture. 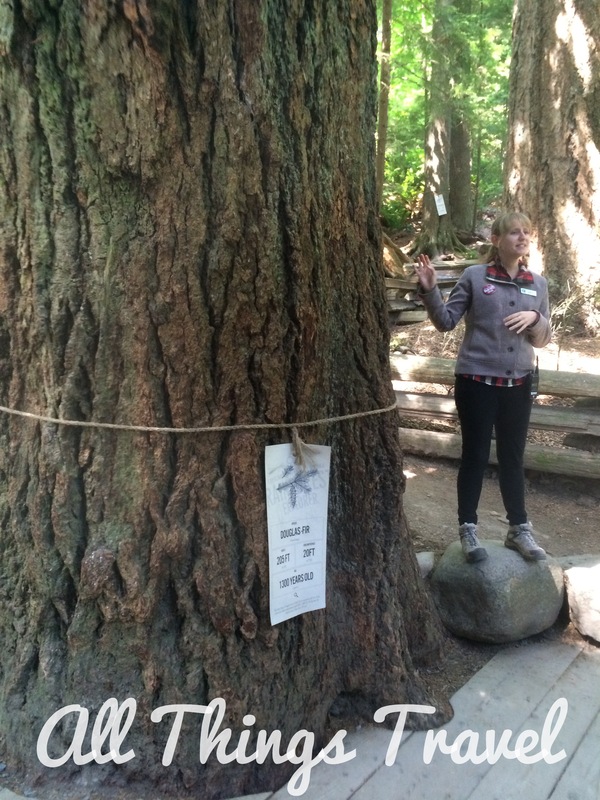 The totem contains only symbols approved by the government and the resulting pole was actually an insult to the First Nation. 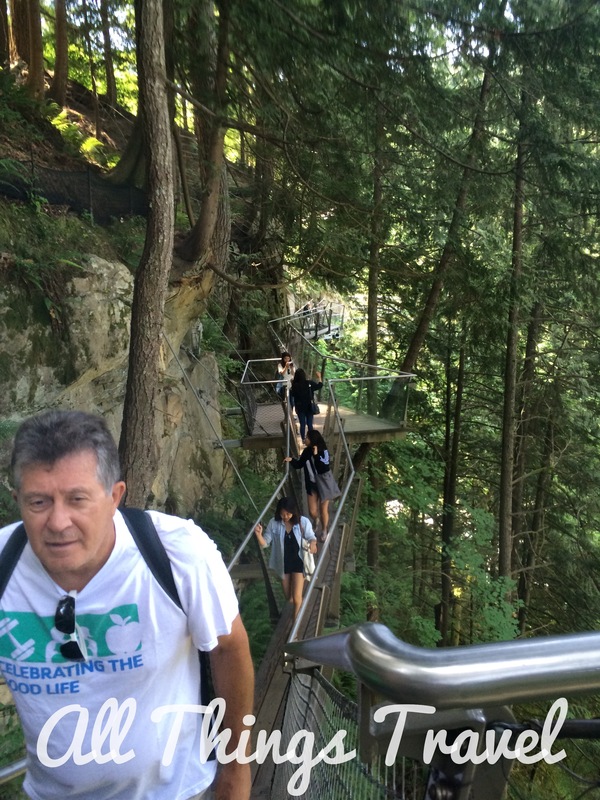 Cliffwalk, which opened in 2011, is a walkway along the canyon, high above the river affording stunning views. I enjoyed all the activities, spectacular views, and educational information but in the end, for me, it was all about the bridge. Based on events in June 2015. Excellent writing as always. Glad you made the trip and that height! Fantastic, I just love the look of this place – it sounds right up our street, although that suspension bridge made my stomach lurch just looking at it!! It was very family friendly and the kids definitely seemed to have a great time. Lots to see, do, and learn.